[RandomTask] is sharing a Larson scanner he built a few decades ago. These days you can whip one of these up using an Arduino in under an hour. He mentions this, but we agree that for nostalgic purposes there’s nothing like implementing the scanning LED effect using hardware. 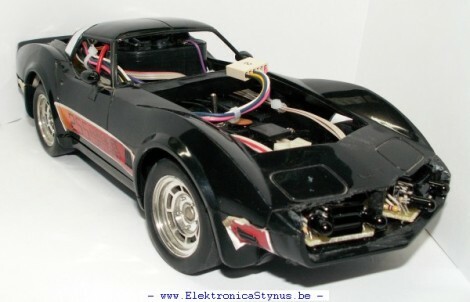 Often called a Cylon Eye (after the television show Battlestar Gallactica) or referred to as the lights on the front of Kitt (the car from Knight Rider), the effect doesn’t just involve switching LEDs on and off in the proper order. A true Larson Scanner fades the LEDs as the bright point moves away from them, resulting in a tail that dims over time. 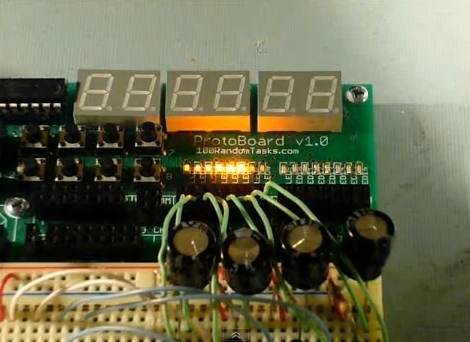 This implementation uses a 555 timer as the clock signal, allowing for speed control through a potentiometer. A counter chip, J-K flipflop, and line decoder all work with each other to address the movement of the brightest light. The fading effect is managed via a capacitor and resistor for each LED. The video after the break shows the pleasing result of this setup. This collection of model vehicle hacks adds obstacle avoidance in an attempt to make them autonomous. At the front end you’ll find two PCBs which use IR approximation to monitor the road ahead. We’re not familiar with this particular use of these IR receivers (TSOP1738) which we’re used to seeing in remote control receiver applications but if recent posts are any indication we think you’ll enjoy the use of a 555 timer on each of those boards. The rest of the hardware is pretty common, a PIC 16F628 does the thinking while an L293D h-bridge drives the motors. Alas, we didn’t find a video, or even a description of the finished project. But there are full schematics, board layout pictures, and the code for both this vehicle and a second Tank version. 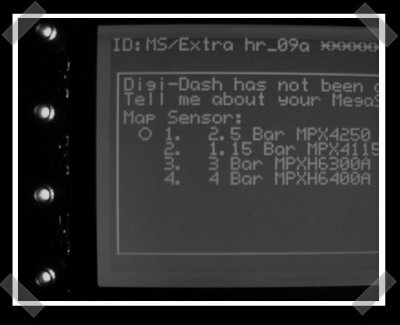 The Digidash project is an open source digital dashboard designed just for the megasquirt EFI system we mentioned in our diy EFI motorcycle post. Unfortunately, the site doesn’t link the hardware design. From the description, I’m assuming that it’s essentially a graphic LCD driven by an Atmel microcontroller that talks to the Megasquirt to get the display info.